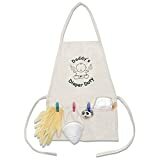 Funny baby shower gifts can bring some lighthearted laughter to this amazing yet scary time in a new parent’s life. 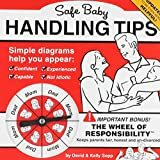 I received some unique and humorous gifts at my own baby showers and they helped me keep my sanity when parenthood got real! If you are invited to a baby shower and are in need of some gift ideas, then check out this curated list of clever gifts, sure to add some fun to the party! False teeth teether ~ This teether will turn heads and get laughs! Welcome to the Club: 100 parenting milestones you never saw coming ~ Every new parent needs this book to keep it real. These are hilariously funny but totally spot on! Baby’s first onesie ~ Let your friends know where your new precious cargo was made! Funny things my kid said ~ Small enough to fit in your bag, and totally necessary for when the baby starts talking! Record those memorable things your babies have said, and maybe some things that you never thought that you would ever say. These are great to share with them as they prepare to become parents themselves! Baby funny face pacifiers ~ Parenthood is no joke. Bring some fun and laughter to your friend’s new world of parenting. 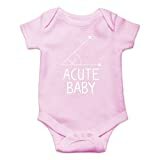 Acute Baby Onesie ~ For the math nerd that is about to multiply! 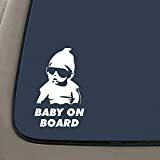 Baby on Board ~ Hangover-inspired, safety approved. Make sure you ride isn’t totally boring! Prank Gift Box ~ I would pay to see the reaction to this gift at the baby shower! Put your real gift in this box to get a rise! The Wheel of Responsibility ~ Let mom and dad play this game to see who gets the next diaper. Bring a little fun and fairness to their new lives! Go the F**k to Sleep ~ Every parent needs this book! My husband and I still talk about this book and our oldest is 11! Listen to the audiobook for a laugh as Samuel L. Jackson gets it right! #Momlife- A snarky coloring book ~ This is great for passing the hours while in the hospital awaiting baby or at 3 am while pumping! Alarm/Mute funny pacifiers ~ These are fun, cute, and certainly useful! 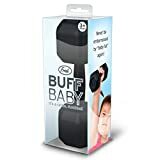 Funny baby rattle ~ A funny baby gift for any parents that are into working out and staying fit! Daddy diaper duty ~ Help daddy get ready for the mess that is inevitable in true dad fashion! Diaper bag hand sanitizer ~ WTF was that hand sanitizer is a must have for any new parent! these are very funny and cute gift ideas, thanks for sharing. We have 5 kids so I have seen many of these funny baby shower gifts around. 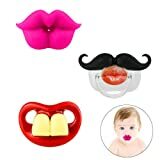 My favorite is the mustache pacifier! We had one for one of our kids and it was hilarious whenever he had it in his mouth. Omg! These are products are super cute! I need to share thos with my cousin. Thanks for an awesome share! Oh, these gifts are really cute! I would have wanted these gifts from my second or third baby shower. LOL. I still needed things like baby monitors and diaper genies LOL. Thanks for the post! This is a great list that you have suggested. You have included some really cute items. OMG these gifts are fantastic! When I have kids I want all of these gifts. I have heard a lot of that Go the F to sleep book narrated by Samuel L Jackson. It’s absolutely hilarious. That would be a funny gift. Wow..these are some amazing and cute gift ideas! I will share this with my cousin. These gifts are totally lit! Will surely add the cute pacifier on my baby shower gifts! These baby shower gifts are super unique. My favorite is the false teeth. The look on the mom to be’s face would be priceless. These are all great ideas! I haven’t heard of a lot of these and wish I had! There are so many good ones on this list!!! Go the F*ck to Sleep is a staple at all the showers I’ve been to. 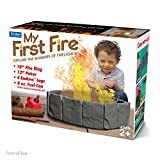 But that prank fire box… I NEED to use that one! Hahaha! So good! Hahaha! I am pregnant right now and am in the midst of baby showers 🙂 I am loving all of the unique presents I have gotten for our girl so far! These are hilarious and seriously something I wouldn’t mind receiving. Ahh, these are so cute! I like how fun these gift ideas are, so perfect for expecting parents! These gifts are so fun. The pacifiers are too funny. The mustache pacifier is awesome! I want to have another kid., just to get some photos with one. These are some great, humorous ideas. These baby shower gifts are super unique. I just love your sense of humor and this is the best list ever! Really original ideas to make your baby shower not one of many, indeed u.u. OMG!!! These are hilarious. 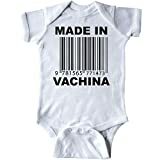 I loved the onesie that says “Made in Vachina” hahaha These are definitely creative and out of the box. Just recently, I attended a friend’s baby shower and I brought with me a number of pink and baby blue onesies as well as a diaper bag. Such can be so handy! Love all these ideas for new born. I find the pacifiers are so cute and cant resist which we could not find them easily. Just the very things I were searching for my kids. They are so cute! I love the onesie that says made in Vachina lol Great gift ideas! These onesies are adorable. I love it. More so the Vachina one.